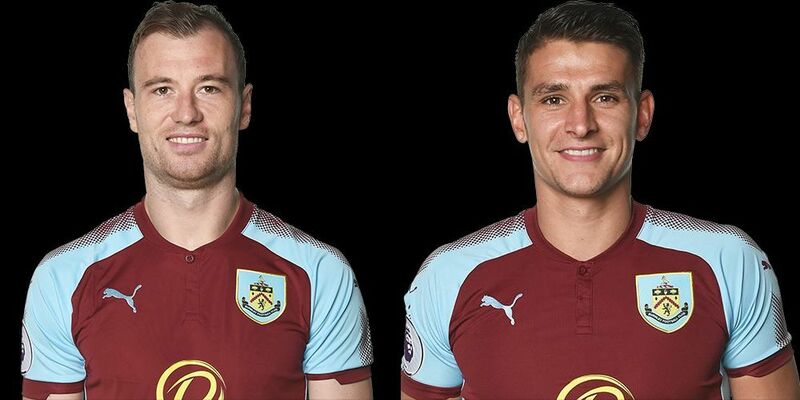 Burnley recorded a third successive Premier League victory last Saturday, beating West Bromwich Albion 2-1 at The Hawthorns in a game that has seen our two Ashleys, Barnes and Westwood, voted as our best players. Barnes is in terrific form right now and as can be seen below has walked away with the March Player of the Month Award. He’s scored in all of the last four games, matching the achievement of Sam Vokes in the Premier League, in which we’ve picked up ten points. His latest goal was perhaps the best of the lot from him. Westwood, I felt, was very unfortunate to get to the end of January before earning a first start this season but that was very much down to the partnership of Steven Defour and Jack Cork in midfield. He came into the side when Defour was ruled out at Newcastle. Having missed the next two games, he returned for the Southampton game and has been in excellent form during this run of four games. It was a challenge between the two for the man of the match vote and the player ratings with Barnes just beating him for the man of the match. Both secured 39% of the vote with Barnes winning it by just two votes. Aaron Lennon, another who has been in excellent form, was third with 9% and Ben Mee came in fourth with a 3% share of the vote. The top two were reversed in the player ratings but again things were close. Westwood’s rating was 8.30 out of 10 and that just beat Barnes who scored 8.27. Lennon was again third with a rating of 7.97 and Mee was once more fourth, sharing that position with Cork with both having a rating of 7.83 out of 10. Both Barnes and Westwood have, therefore, won eight points towards the Up the Clarets Player of the Year. Lennon secured four points with two points for Mee and one for Cork. The player of the month for March really was no contest with Barnes winning 26 out of a possible 30 points. Ten of those came in the home win against Everton with a further eight points in each of the two away wins at West Ham and West Brom. Defour is still just about hanging on to his lead in the player of the year table but his lead over Mee is now just one point in what is a much tighter affair than a year ago. With 31 games played last season, Mee and Michael Keane were a long way ahead of any other player which had left things as a two horse race for the award. This season is so different with Barnes, currently seventh, only 33 points from the top and he’s in sixth place. Another month like the last one could see him in contention along with six above him. The next vote will be underway on Saturday after the game at Watford and the West Brom result can be seen below along with the March Player of the Month result and the current Player of the Year Table.